Even though the Super Bowl is over, this month’s recipe swap, hosted by Sarah at Taste of Home Cooking, was all about Super Bowl appetizers and snacks. My thought is, the Olympics are here and any one of these recipes would be great to enjoy while watching the games. This month I received Nichole’s blog, Cookaholic Wife. I actually have several of Nichole’s recipes pinned to make but unfortunately none of them were appetizer recipes. When I went looking for something to make there were so many delicious recipes like the Crabby Crab Puffs and Parmesan Herb Breadsticks. The recipe that really caught my eye was for Caramelized Onion Dip. I’ve seen this dip on numerous blogs and have pinned it several times but haven’t gotten around to making it. So 2 days before the Super Bowl as I was scrambling to come up with a menu this was the perfect dip to add on. It’s so easy to make and I already had all the ingredients in my kitchen. 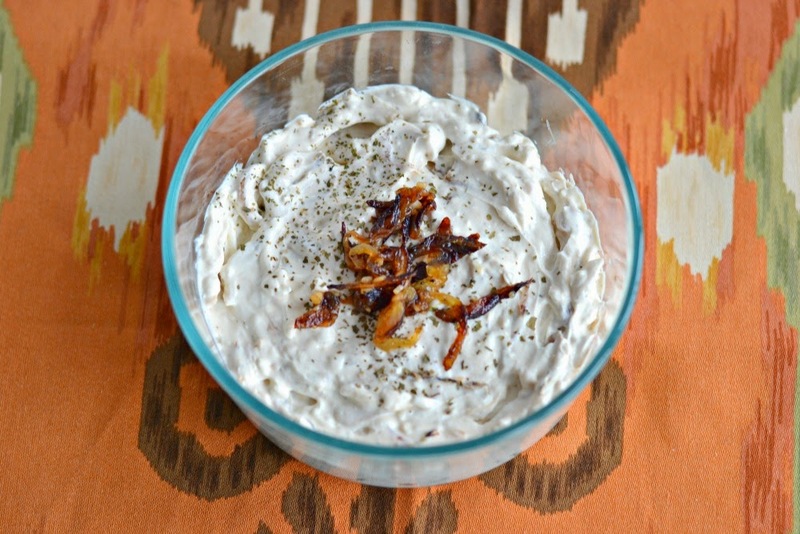 The flavor from the caramelized onions really enhanced the flavor of the dip. I served it with vegetables and with some crackers. It was great with both! So much better then the powdered onion dip packets I buy at the store. This dip was really easy to make and we enjoyed it on Game Day! 1. In a medium skillet melt the butter over medium heat. Add in the onions and stir occasionally, for about 20 minutes. The onions should begin to caramelize. 2. Sprinkle the onions with salt and pepper and cook for an additional 10 minutes. Stir in the garlic and cook for 5 more minutes or until the onions are caramelized. Remove from heat. 3. In a medium bowl combine the sour cream, cream cheese, and lemon juice. Mix until smooth. 4. Add in the caramelized onions, reserving a few for the top of the dip. Mix well until combined. Place the reserved onions on top. 5. Serve with vegetables or crackers. I love caramelized onions on anything, so in a dip would be perfect. I’ve been wanting to make this dip forever. Looks great! 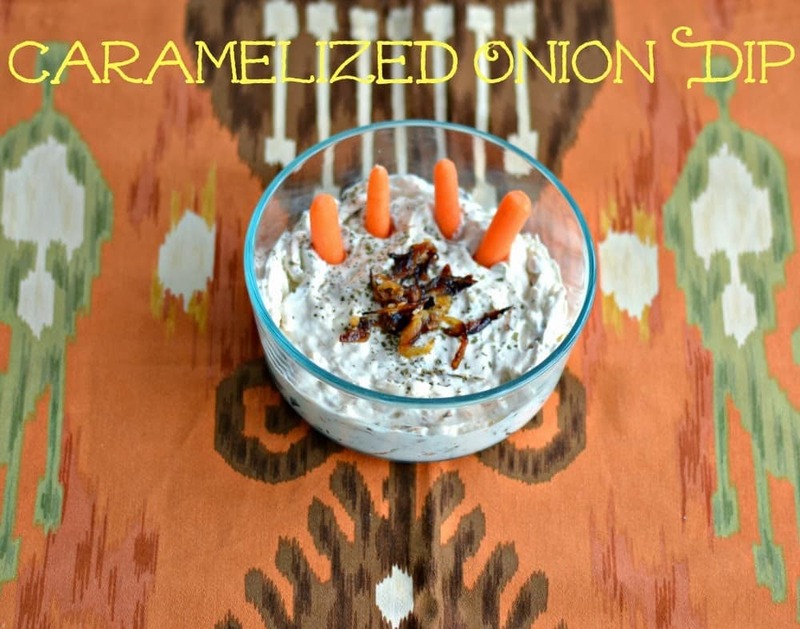 I love homemade onion dip and this looks fantastic! Great pick! What a fabulous dip! 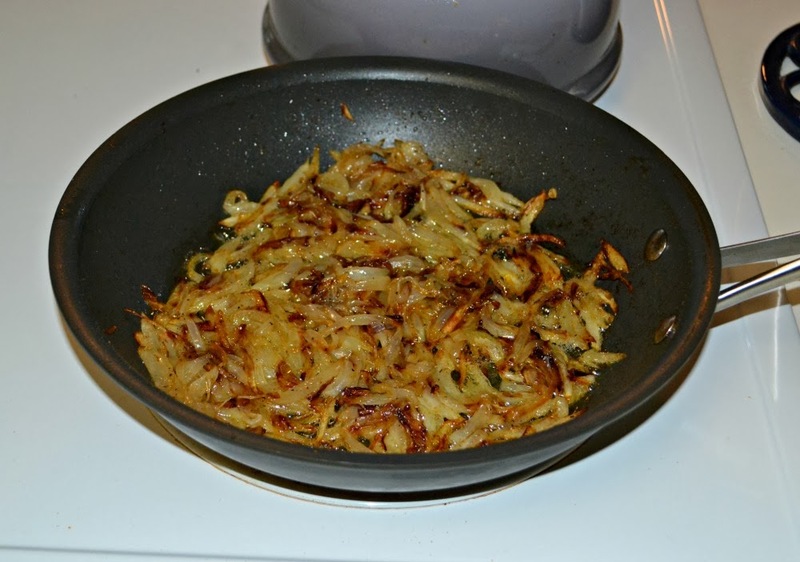 I love anything with caramelized onions. Glad you liked it! It’s one of my favorite dip recipes.